We continue to bet on West Ham to win. Surely it will happen soon? Our recent results continue to match those of our team. In 13 away league games this season, Leicester had failed to win a single game until they played at the London Stadium the week before last. Recognising West Ham’s propensity to oblige teams having a bad run, we should have gone against recent principles and bet on the opposition for a change. But we failed to do this and paid the penalty. After staking 25 points on losing bets on the Leicester game our balance is now down to 55 points. West Ham have failed to pick up a single point in the last three Premier League games, and we have recorded a similar losing sequence with our bets. We really shouldn’t bet on West Ham, surely one of the most unpredictable teams in the league? But it is a bit of fun that adds to the game. Nevertheless, we really need to start winning soon before the money runs out! This brings our balance down to 35 points. Surely we will end our losing sequence soon, and win a game? What are the chances? My Favourite Games: Number 11 – The Winning FA Cup Final, 1964, West Ham 3 Preston 2. A series of occasional articles recalling my favourite West Ham games, and songs in the charts when these games were played. Today finally winning a major trophy. I have witnessed so many great games since I started watching West Ham in 1958. They are remembered for different reasons, the importance of the game, the goals scored, and the spine-tingling atmosphere generated by our fans. In this article and two that will follow, I will recall three of my favourite games (the winning FA Cup Finals), although to be absolutely honest, none of the three will be remembered for the quality of the football played, but they all had great endings. I have seen us win three finals, the last being in 1980, so none of our fans under the age of 40 would have been there to witness these great days. In 1964 I was ten years old and still at Junior School. Our FA Cup run was unremarkable in the early rounds. In Round 3 we disposed of Charlton (3-0) at Upton Park, and then in the fourth round Leyton Orient were beaten by the same score at Upton Park in a replay after a 1-1 draw at Brisbane Road. We then won 3-1 at Swindon in Round 5, before an exciting 3-2 win over Burnley in the quarter-final (see favourite games 7). Nobody expected us to beat Manchester United in the semi-final. They had beaten us at Upton Park 2-0 the week before the game, despite resting a number of their key players. But they were duly put to the sword at Hillsborough with a 3-1 win, courtesy of two goals from Ronnie Boyce, and another from Geoff Hurst. The final at Wembley on the first Saturday in May was against Preston North End, and, in a reversal of the semi-final odds, this time we were strong favourites to win. Preston were a second division side and few gave them a chance. But on the day we didn’t play particularly well, and we had to come from behind twice to win the game. After Preston’s first goal in the tenth minute, John Sissons netted the equaliser almost from the restart. Preston then scored again as half-time approached and we went into the interval behind. We needed an early goal in the second half and Geoff Hurst duly obliged with his seventh goal in our cup run. He had scored in every round except the quarter-final. Ironically Hurst’s goal went in off the underside of the bar, and only just crossed the line, a feat he was to repeat in the World Cup Final, a little over two years later! It was looking like the game was going into extra-time when Ronnie Boyce headed home the winner in the last minute. There were some interesting facts that emerged from the game. Howard Kendall, playing for Preston a month short of his eighteenth birthday, became the youngest player at the time to appear in an FA Cup final. John Sissons, only slightly older, became the youngest player to score in a final at the time. Seven of the West Ham team had surnames beginning with B; Bond, Burkett, Bovington, Brown, Brabrook, Boyce and Byrne. Standen, Moore, Hurst and Sissons made up the rest of the XI. We scored three goals in every round of the competition including the final. We only used 11 players to win the cup; the same 11 played in every round. Fewer players appear to have been injured in those days! Compare that to West Ham’s injury record in recent times. All 11 players were English. As you can see, the programme cost one shilling (5p), and a standing ticket for the game on the old Wembley terraces, cost seven and sixpence (37.5p). And for me personally, some interesting dates were features of our cup games in 1964, and part of the reason I remember the build up to our first ever FA Cup win. The first leg of our League Cup semi-final against Leicester was played on my birthday (February 5), the fifth round of the FA Cup was on my dad’s birthday (February 15), the quarter final was played on leap day (29 February), and our semi-final win was on my mum’s birthday (March 14). The number 1 in the charts at the time was World Without Love by Peter and Gordon. The Searchers were at 2 with Don’t Throw Your Love Away. The previous number 1, Can’t Buy Me Love by the Beatles was beginning its descent down the chart, and Millie was at 5 with My Boy Lollipop. Other notable acts in that week’s chart were Gerry & The Pacemakers, Doris Day, Manfred Mann, The Rolling Stones, the Hollies, Roy Orbison and Cliff Richard. League and Cup Winners Cup action, a tiring week for the Boys of 86 and some heavy reverses in the week 27 March to 2 April in Hammer’s History. There are some results that we can only look back at while hiding behind the sofa and two games played in the week 27 March to 2 April fall firmly into that category. On April Fool’s Day in the 1999/ 2000, Harry Redknapp’s Hammers visited Old Trafford and after 11 minutes had taken an unlikely lead through Paulo Wanchope. It didn’t remain unlikely for long, however, as goals from Scholes and Irwin quickly put the hosts into a lead that they would not lose. Two more goals from Scholes and one each from Cole, Beckham and Solksjaer rattled past Craig Forrest to send the Hammers away with a humiliating 7-1 defeat. The same week in 1985 West Ham were at Vicarage Road on the wrong end of a 5-0 thrashing by Graham Taylor’s Watford – Luther Blissett and John Barnes among the scorers. Little evidence at the time that the following season would become the best ever in Hammer’s history. 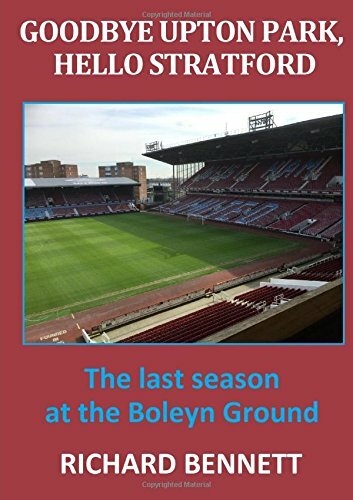 The fixture backlog in 1985/86 required West Ham to play 16 league games between 15 March and 5 May, three of which took place this week. It started with the highest high of a 4-0 away win at Stamford Bridge against a Chelsea side also very much in the title race at the time. Goals from Cottee (2), McAvennie and Devonshire doing the damage. Two days later the momentum continued with a 2-1 home win against Tottenham; a goal apiece again for deadly duo Cottee and McAvennie lifting West Ham to 5th in the table, 10 points behind the leaders, Everton, having played 5 games fewer. The week was to end in something of a low, however, as the Hammers went down 2-1 away to Nottingham Forest at the City Ground. Cottee scored the West Ham goal but the game is best remembered for a goal scored from a free-kick by Dutchman Johnny Metgod. Taking a fast bowler’s run up Metgod struck the ball with such venom that it went straight through the despairing hands of Phil Parkes. In 1976 the first leg of the European Cup Winners Cup semi-final had West Ham travelling to play Eintracht Frankfurt at the Waldstadion. A spirited performance resulted in a 2-1 defeat to set up the second leg for one of the all-time great floodlit nights at Upton Park. In the game a fine Graham Paddon strike had put the Hammers into the lead before the Germans hit back twice either side of half-time. The 1981 League Cup Final Replay against Liverpool also took place during this week at neutral Villa Park. Liverpool had drafted in a young Ian Rush for the game but it was West Ham who took the lead after 10 minutes with a diving Paul Goddard header from a Jimmy Neighbour cross. Liverpool stepped up the pressure in response and goals by Dalglish and Hansen were enough to secure a first League Cup success for the Merseysiders. League based upon current form. Here we are roughly three-quarters of the way through the season and we have the fourth international break. Only three league games had been completed when we had the first, seven games for the second, and just eleven when we had a free weekend for the third. I guess it is about time for another one! Due to the EFL Cup and FA Cup, the number of league games played by Premier League clubs varies between Manchester United and Southampton on 26, and a few teams like ourselves on 29. We therefore have just nine games left to finish in as high a position as possible. But how high will that be? Looking at the current league table above, which shows the points achieved so far and the number of games left in the season, then nobody could possibly bet against Chelsea coming out on top, although the fight to get into a top four position is not yet cut and dried. At the bottom, then the three most north-easterly clubs in the country look in trouble. We are in that cluster of clubs fighting for a ninth-place finish, as the top eight are now well clear barring a significant change of fortune. Of course we don’t know what will happen between now and the end of the season, but one possible indicator is to look at the recent form of all the teams, and project this forward to the season’s end. As they write in all financial services advertisements, past performance is no guarantee of future results, but companies nevertheless still provide projections to enable potential investors to consider what might be achieved. So for this prediction exercise I looked at the number of points per game that all the teams have achieved in the most recent 10 games, and then multiplied this by the number of games that each has to play, to come up with a forecast of the final positions based on the form showed in their last ten games. And this was the result. This table produces greater variation than the previous one because we are looking at a smaller time frame. Some will argue that this could be more accurate as it is based upon more recent form. But as West Ham fans, we know that form can change. When we go along we never quite know what West Ham team will turn up, or what we can expect. Our form fluctuates more than many others. Nonetheless, this projection is more worrying in that we end up down in 15th place. Palace, on the other hand, finish in the top half of the table. Mischievously, partly because I have a good idea what the results will be, I did a final calculation of end of season positions, based upon form in the last three games only. This is, perhaps, too narrow a time frame to be realistic. Or is it? The result is shown below. I knew roughly what this would show, as we are the only team in the Premier League without a single point in our last three games. But if this did prove to be an indicator of the end of season position, then it would be a matter of goal difference as to whether or not we play in the Premier League next season! One thing is for sure. Our current form needs to improve, and we probably do need a few more points to be safe. A series of occasional articles recalling my favourite West Ham games, and songs in the charts when these games were played. Today a midweek rout of Don Revie’s Dirty Leeds. I have witnessed so many great games in the last 58 years. They are remembered for different reasons, the importance of the game, the goals scored, and the spine-tingling atmosphere generated by our fans. I remember this one especially for seeing one of the great West Ham performances, a seven-nil thrashing of one of the top teams at the time. Leeds United today are down in the Championship, but in the 1960s they were one of the best teams in England. They had finished as runners-up in Division One the previous season (and the season before that), and were to finish fourth at the end of the 1966-67 season. In fact, from the mid-1960s for a period of ten or so seasons, they never finished out of the top four, and were champions twice. On so many occasions they were the perennial runners-up, although their tactics were not favoured by most fans throughout the country, and they were hated by many. And, as I grew up in the 1960s I remember fondly the music in the charts at the time. In those days the League Cup (now called the EFL Cup) was taken more seriously by the top sides, all of whom put out strong sides throughout the competition in an attempt to win one of the major trophies available. Although we were languishing in the bottom half of the table throughout the season, and eventually finished 16th, we beat our North London neighbours, Tottenham, with a Geoff Hurst goal in Round 2. In the third round we comfortably disposed of Arsenal, 3-1, with two further goals from Hurst, and one from Peters. Two days before the fourth round game at home to Leeds we had put six past Fulham in the League (Hurst 4, Peters 2), so we were in fine goalscoring form. That season’s League Cup was the first to culminate in a Wembley final, as previously the final was held over home and away legs, and it appeared that we were keen to get there, especially as we had reached the final the season before, but lost out to West Brom in the two-legged final. Few expected us to beat Leeds, and nobody anticipated the rout that was about to take place on that cold November Monday night. Geoff Hurst, fresh from his never to be forgotten hat-trick in the summer World Cup final, scored 41 goals in the season, and Leeds were on the end of one of his three hat-tricks that campaign. John Sissons, a wonderful left-winger, who never perhaps achieved what many thought he would in football, also weighed in with a hat-trick that night, and Peters scored the other goal. Leeds United, and in particular their manager, Don Revie, were shell-shocked. Leeds fielded the same side that had beaten Arsenal 3-1 at Highbury just two days earlier, but their uncompromising defence was swept aside by brilliant attacking football. We were capable of doing this from time to time, but couldn’t manage it regularly. However, on this night everything clicked. Sissons scored the first after just two minutes, and went on to complete his hat-trick within half an hour. Hurst added a fourth and we were 4-0 up at the interval. We came out in the second half and didn’t take our foot off the pedal. Hurst added the fifth goal on the hour, Peters the sixth ten minutes later, and then Hurst completed his hat-trick with a powerful left foot drive reminiscent of England’s fourth goal in the World Cup final a few months earlier. There was still more than a quarter of an hour to go and the crowd wanted eight. There was no official man of the match in those days, but it was generally felt that Budgie Byrne was that man, pulling all the strings in a breathtaking performance that was highly acclaimed by all, including Ron Greenwood, our manager. It was surprising therefore to see Byrne leave the club just a few months later and return to Crystal Palace. Billy Bremner was booked for a couple of heavy challenges on Eddie Bovington, including the malicious use of an elbow. Bovington never retaliated and was reported to have told Bremner “we are leading seven-nil you know, Billy”. Legend has it that the Leeds players didn’t go to bed that night at their hotel, but stayed up until morning discussing their dismal performance. Number one in the charts that week was Reach Out I’ll Be There, by the Four Tops. The Hollies were at two with Stop, Stop, Stop, and the Troggs at three with I Can’t Control Myself. Other notable acts in that week’s top twenty were Hermans Hermits with No Milk Today, Manfred Mann with Semi-Detached Suburban Mr James, I’m A Boy by The Who, and a future number one, the Beach Boys, with one of their all-time classics, Good Vibrations. We went on to beat Blackpool 3-1 in the quarter final, but went out in the two-legged semi-final to West Brom once again. The tie was virtually all over in the first leg when we went down 4-0 at the Hawthorns, and we could only manage a draw in the return leg. West Brom went to Wembley to contest the final against third division QPR. The Baggies led the final 2-0 at the interval, but a wonderful comeback inspired by Rodney Marsh saw QPR win the game 3-2.